2 How to get to lan ha bay ? 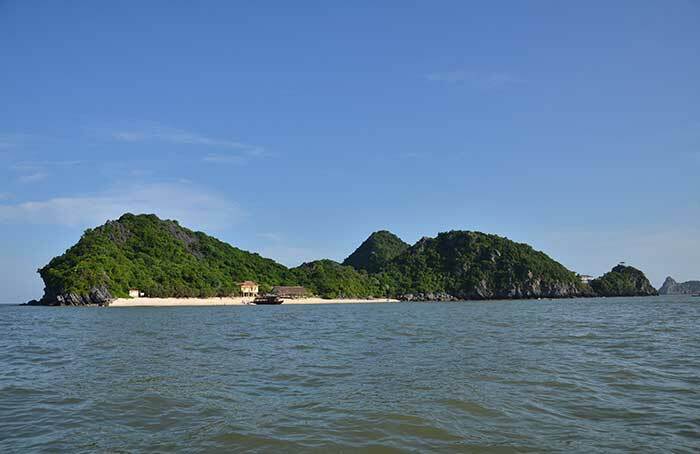 Hanoi to Cat ba distance is about 160 km travel by bus from Hanoi old quarter, Cat Ba island is one of the famous destination on the North of Vietnam. There are some ways to go to Cat Ba island (Cat Ba town), We would like introduce Cat ba package tour transfer bus from Hanoi to Cat Ba day trip. 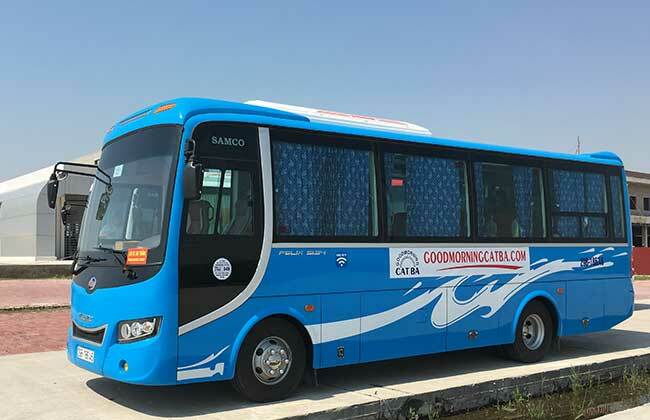 From September 2017 it is possible to travel direct from Hanoi to Cat ba by bus over the longest sea-crossing bridge in Southeast Asia Tan Vu – Lach Huyen – opened in September 2017. 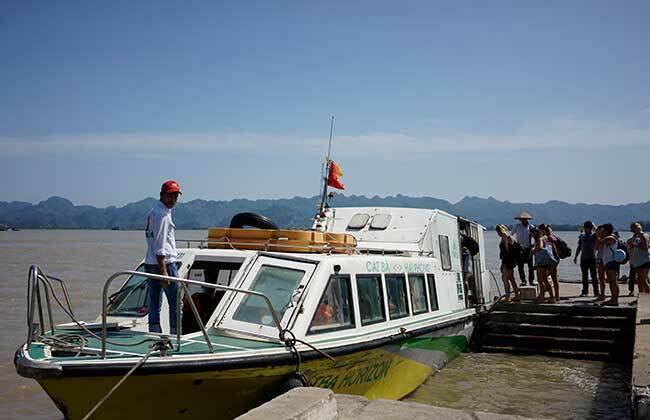 Option 1 – 13$ : Combo ticket Bus from Hanoi to Cat ba island in high season (13 USD/person/one way, Round trip 25 USD/person – included Bus + Speed boat + Bus) . We’re free pick up from Hotel in Hanoi old quarter and drop off at hotel in Cat ba island or Cat ba town. 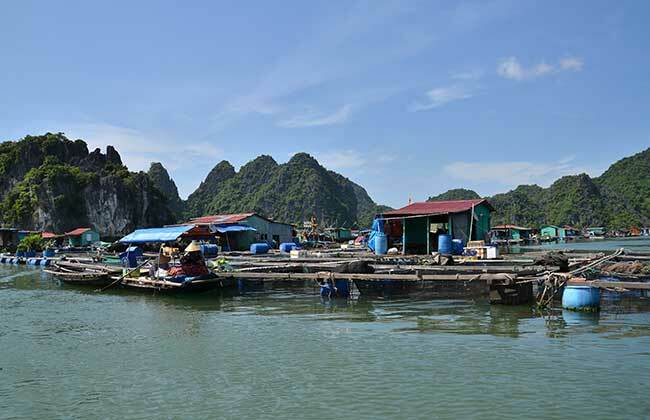 It takes only 3 – 3,5 hours from Hanoi to Cat ba island. Bus Hanoi to Cat ba time at : 11h00, 14h00. Bus from Cat ba to Hanoi time at : 9h00, 12h30, 16h00. Option 2 : Combo ticket Bus from Hanoi to Cat ba island (13 USD/person/one way, Round trip 26 USD/person – included Bus + Speed boat + Bus) . We’re free pick up from Hotel in Hanoi old quarter and drop off at hotel in Cat ba island or Cat ba town. 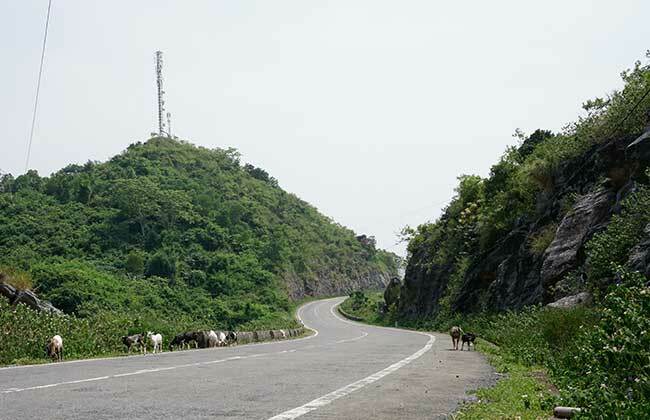 It takes only 3 – 3,5 hours from Hanoi to Cat ba. Bus Cat ba to Hanoi time at : 9h00/12h30/16h00. Bus ticket from Cat ba island to Hanoi (Only 13 USD/person/included Bus + Speed boat + Bus) not ferry. We’re free pick up from Hotel in Cat ba town and drop off at hotel Hanoi old quarter. Bus from Cat ba to Hanoi time at : 9h00/12h30/16h00. 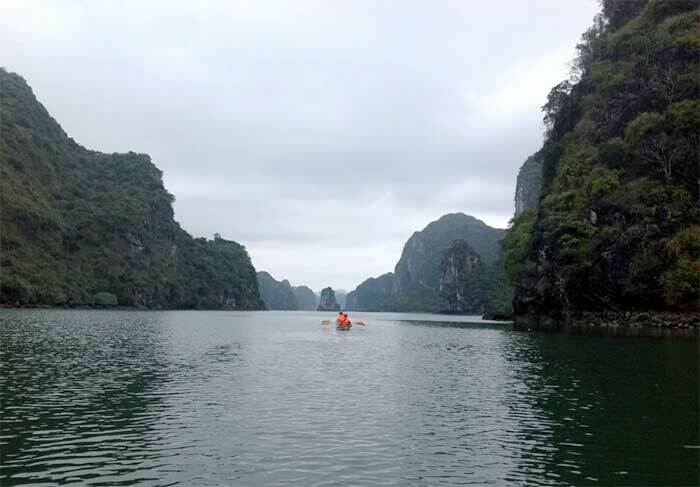 Start from Cat ba town : Lan ha bay day tour – Ha long bay – Monkey island – Lan ha bay kayaking full day trip. Lan ha bay lie on south and east of Cat ba town, lan ha bay is the best place to discover if you have 2 days or 1 day in to travel Cat ba island. 8h00 : Our tour guide and shuttle bus will pick you up at your hotel in Cat ba town – Cat Cat Ba island, Enjoy mountainous view on the way to Beo pier. 13h30 – 16h00 : Keep cruising to Hang Ca, kayaking through Dark cave, Bat cave and Bright cave. Here you have chance to visit the less-accessed area to get the most exotic scenery to yourself. 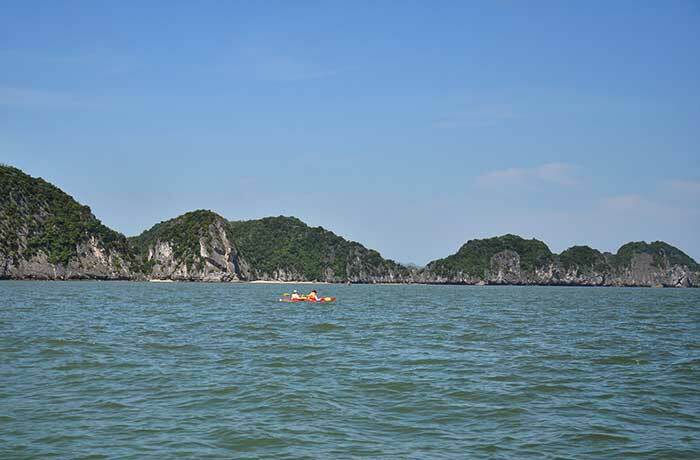 After 2 hours kayaking in lan ha bay, our boat bring you to Three Peachs beach (Ba Trai Dao) to swim, snorkel or lie down on the boat deck for drinking, relaxing and take photo.